Today, people considers blogging as one of the most influential sources and one of the most trusted sources. 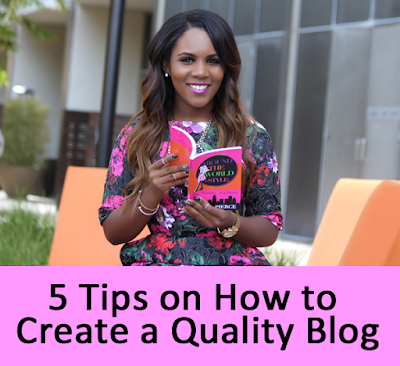 Starting one isn't the formula for success, creating and sustaining a quality blog is the definition success. Entrepreneur and Author Ariana Pierce tells you why a quality blog is important and gives you five (5) tips for creating a quality blog with tips like Creating a Blog Name, Creating a Vision for the Blog, Do Research For Your Blog, and more. Check it out! "I think a blog is important for any business - a tech business, fashion business or whatever business..."
"I am always asked 'How do I market my business with out sounding too sales-sie...A blog is the answer...it is where you can put content about your product, how to use your product, why your product is important"